In his column, Raut said that Kumar, "a bottle of poison", must not reach Parliament. The MP was issued a notice and he has to respond to it by Wednesday. Mumbai: After two BJP leaders, Rajasthan Governor Kalyan Singh and Uttar Pradesh Chief Minister Yogi Adityanath, now it is a Shiv Sena leader who has earned notice from the Election Commission for his comments that allegedly violate the model code of conduct. 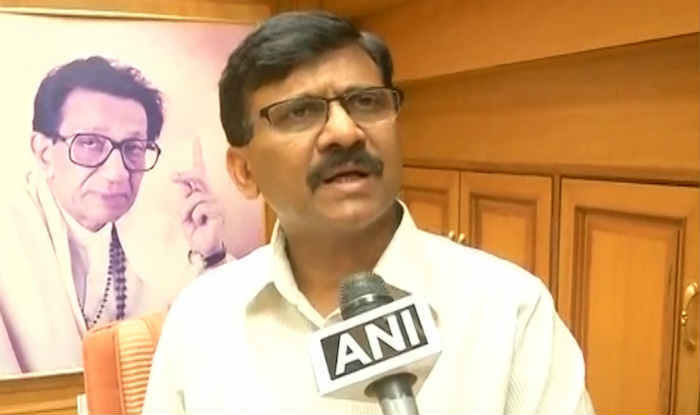 The District Election Officer of Mumbai issued a notice to Shiv Sena MP Sanjay Raut for his comments against CPI candidate Kanhaiya Kumar. Raut, who is the editor of Sena mouthpiece ‘Saamana’, said in the publication this Sunday that Kumar should be defeated in the elections even if it meant the BJP indulged in ‘tampering with EVMs’. In his column in the Marathi daily, Raut said that Kumar, “a bottle of poison”, must not reach Parliament. Following his remarks, the Rajya Sabha MP was issued a notice on Monday, asking him to respond to it by Wednesday. Further action will be decided by the Election Commission. Raut was quoted by PTI as saying that he would respond to the notice to clarify his stand. “I have received the notice based on what I have written in ‘Saamana’. We respect the EC and I will respond to the notice and clarify my stand in the time provided,” he said. Kumar, a former president of the Jawaharlal Nehru University’s student union, is contesting the Lok Sabha elections from Begusarai in Bihar. Meanwhile, Kumar has been launched a crowdfunding campaign to raise funds. In just two days, Kumar had raised over Rs 25 lakh, CPI leader Satyanarayan Singh said. Kumar launched a crowdfunding campaign in partnership with Our Democracy, a platform to collect money to contest the elections. The target was to raise Rs 70 lakh for his election campaign, the permissible limit of expenditure in parliamentary elections. “I need your support. No amount is big or small. Contribute what you can. If you believe in democracy, I am seeking your support,” Kumar’s appeal read.